Women’s healthcare is our utmost priority. We specialize in obstetrics and gynecology, and our entire staff is committed to your emotional comfort and needs. We strive to provide our patients with unsurpassed healthcare in a comfortable and healthy environment. Our private exam rooms contain the most up-to-date equipment in order to insure that you receive the best care possible. 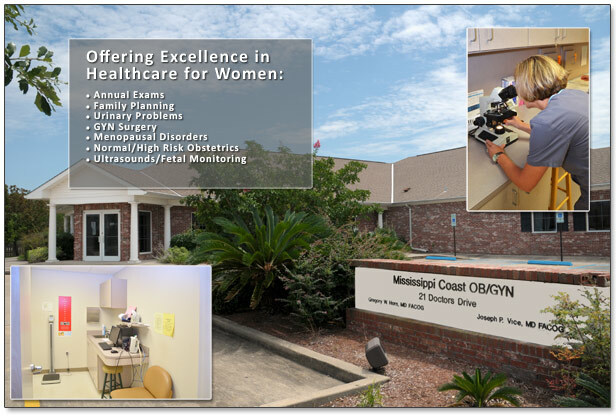 Join the family of Mississippi Coast OB/GYN today!